Consumers have many different options when they are replacing an older water heater. There are various sizes and capacities, they come in electric models as well as gas fired models and there are tank less styles as well. 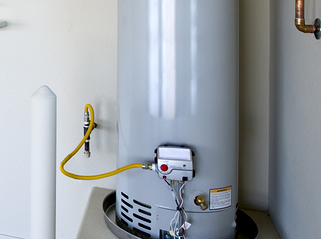 Water heater replacement in San Tan Valley, AZ does not have to be complicated. Our team of professionals can assist you in selecting the appropriate water heater to meet your family’s needs as well as your budget. Most consumers when faced with water heater replacement will simply replace it with one that is like the one they had. All the hookups to the water pipes are the same and electrical power or gas lines will be the same. Exhaust vents in the case of gas water heaters will also line up. Our professionals will also check to make sure that your existing connections and exhaust vents are up to the current building codes. Many consumers are surprised to learn that their existing water heaters are no longer meeting building code requirements. Building codes are often updated as we learn more about safety concerns. New water heaters will also come with more efficient heaters saving money for the consumer in terms of electrical usage or gas usage. Upgrading exhaust vents to the latest code can be included in all estimates and completed while your new water heater is installed. We also will remove the existing water heater for you. We are experts in the installation of water heaters, the latest building codes and of course all the different types of water heaters. For an estimate for your water heater replacement in San Tan Valley, AZ needs, give us a call to day. Our professionals will ensure that all your needs are met and the work completed in a safe professional manner. Call today to make arrangements for your water heater removal and installation.